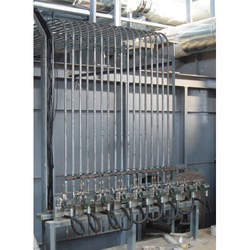 We are one of the leading manufacturer & service provider of Utility Distribution Systems. 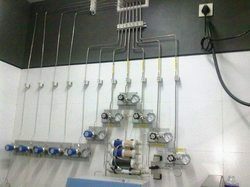 We are well established in the industry for the Lab Pipeline Installation project management, We offer you a complete lab installation solution, including the installation of a variety of utility lines like Water, Drain, Compressed Air, LPG and Specialty Gases like N2, H2, O2, Ar, N2O, Acetylene, He, etc. Lab pipeline is a very critical task in installation, which needs to be attended closely to ensure your safety and accuracy. We take necessary care for the setup through continuously upgradation of quality standards. Over the years, we have generated good business relations with our clients and professionals in the field to ensure that you get the genuine & safe installation done at cost effective rates. We are one of the leading manufacturers of Utility Distribution Systems. The offered utility distribution systems are widely used conveying the fluid from one point to another. Our offered utility distribution systems are comprehensive solutions for the transport of industrial fluids in companies. The offered utility distribution systems are capable of withstanding the turbulent flow of fluids. Looking for Utility Distribution Systems ?